Our team consists of carefully selected engineers who are both specialised and dedicated, who can integrate into the perfect team environment that our clients can trust in. This approach forms the building blocks to our long term co-operations. We at Contratec N.V. feel that we can offer fair and realistic pricing objectives to meet the needs of today’s climate. This has helped us to become a reliable partner of many small and multinational companies and with our workforce being fluent in all the main international languages our services are second to none. 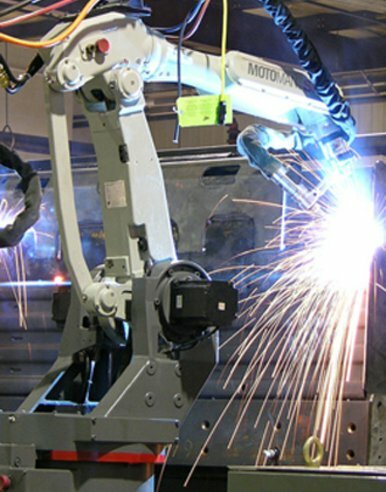 Contratec's expertise lies in the field of industrial automation. We have many years of experience from within the industry allowing us to tackle any project. 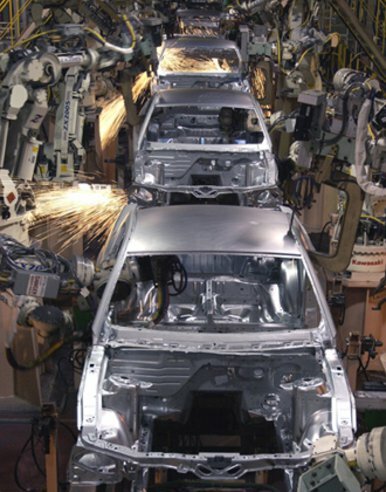 The automotive industry is our core business where we specialise in the design, programming and commissioning of robot and plc software. We also have involvement in customised stand alone projects from product development through to final acceptance from the customer. The knowledge base within Contratec is extensive and varied covering all the major applications in the industry. Previous knowledge can save time and money when you have deadlines to meet and applications need to be commissioned quickly and smoothly. Whether you require an extra member in your team to help you overcome a difficult period, or whether you need a full hands on approach involving many engineers to take on large installations, Contratec can play its role. The benefits of using the knowledge and expertise of Contratec is priceless. We are well known by many of the automotive industry manufacturers and our people have completed many difficult and high level projects for many of the Turn-Key suppliers. By being able to draw on our many depths of experience we can integrate into any project smoothly and efficiently. We maintain close working relationships with our clients and for this reason Contratec has built firm foundations within the industry and is generally recognised throughout as a supplier of high quality and solid experience. We strongly feel that Contratec is the right partner for your project.